Hardwicke Parish Council and its NDP Group have been developing a Neighbourhood Development Plan for Hardwicke. Before the plan can be formally submitted to Stroud District Council there is a need to conduct a 6 week consultation process. The consultation period runs from 9th September to 21st October 2015. The plan is available for inspection via the link below. If you would like to view a hard copy of the Plan or to make any comments about the plan please email clerk@hardwickepc.co.uk or use the contact page on this website. Another 1500+ Houses For Hardwicke! Yes – a distinct possibility. Hardwicke Court Estate is proposing that a swathe of the open land across the centre of Hardwicke is used for high density housing. If it happens then land at Green Lane Farm will surely follow – see map. The original submission can be found at http://www.stroud.gov.uk/info/plan_strat/R125%20Hardwicke%20Court%20Estate%20Matter%202.pdf. The land is identified in the SDC Strategic Housing Land Availability Assessment that identifies land whose owners have indicated they would be willing to release for use as future developments. In this case Hardwicke Court Estate actively canvassed SDC to use their land and allegedly have detailed plans on the potential development. But you cannot see them as the attachments have been removed from the documents when I last checked. So I suspect many of you will be thinking – ‘that’s it then - its a done deal! nothing we can do!...just look at Sellars Bridge! The thing is, if we do nothing then it will happen, and Hardwicke Village will surely be no more! The Sellars Bridge objectors did a fantastic job in challenging the development; but the National Planning Policy Framework (NPPF) had just been introduced and there was no updated SDC Local Plan. In hindsight they did not stand a chance once the QCs got involved. So what has changed since 2011? The NPPF requires that ‘…planning should be genuinely plan-led, empowering local people to shape their surroundings, with succinct local and neighbourhood plans setting out a positive vision for the future of the area…’. The updated SDC Local plan (not having an updated local plan is a major obstacle at the moment) approval is expected in late 2015. More importantly the Hardwicke Neighbourhood Development Plan completion is due around the middle of this year. A few dedicated volunteers spent 2014 reviewing the Hardwicke Parish, gathering opinions and thoughts of the community to include in the plan (…its not too late to send back your housing needs analysis questionnaire…). Their findings will be available for you to review in the Hardwicke Village Hall between 1pm-8pm on Friday 13th March 2015 and between 10am and 5pm on Saturday 14th March 2015. Members of the Hardwicke Neighbourhood Development Plan Group will be available to answer any questions you may have and there will be plenty of opportunities to let us know what you think of their ideas and add any of your own. Your feedback will be used to refine and finalise the policies in your local plan. You will have the opportunity to vote for the plan in a Parish referendum later this year. If you agree and the plan passes planning inspectorate examination it will be adopted and used to underpin the planning decision-making process for Hardwicke. See you on 13th and 14th March. HNDP Update - why a HNDP? Unfortunately I start this update with an apology. A number of you marked the recent questionnaire to indicate that you were willing to assist us in developing the NDP. Due to a misunderstanding the information was not recorded before the returns were disposed of. If you are one of these people please contact us on 01452 881774 or the Parish Clerk. 2200 questionnaires were distributed; 110 were completed and returned; a return rate of just 5%. Disappointing considering the importance of this work on behalf of the community. Community spirit is important to 88%. Only 28% think there is a strong community spirit in Hardwicke. Most common ways to improve it are more community events such as village show, fetes and events like the Jubilee. 45% think there is a need to review recycling arrangements in Hardwicke. 46% think that production of renewable energy in Hardwicke should be explored as part of the NDP. 50% are concerned about flooding in Hardwicke particularly Church Lane, Pound Lane and Green Lane. 87% are concerned about road safety mainly in Green Lane, Sellars Road, Church Lane and Pound Lane. Issues include speeding, volume, parking and narrow roads. Many were concerned about the condition of roads, pavements and footpaths. 31% use buses in Hardwicke daily or weekly. 65% are in favour of providing more local job opportunities in Hardwicke and 52% think that enhancing the local economy should be addressed through the NDP. 28% do not think the current housing mix in Hardwicke is right including a shortage of bungalows and sheltered/retirement housing. 84% think the NDP should address maintaining a rural feel for the parish, 61% maintaining a separation from Gloucester/Quedgeley and 55% standards in housing design and style. The full results of the survey can be viewed on the Hardwicke Parish Council website at www.hardwickepc.gov.uk and the GRCC website at www.grcc.org.uk/neighbourhood-development-plans/hardwicke-ndp. In the February edition article titled ‘…but what can we do about it…’ we promised a regular update on the progression of the HNDP – so here it is. I would like to thank the HM team for allowing us to use their magazine to reach out to the Hardwicke community. 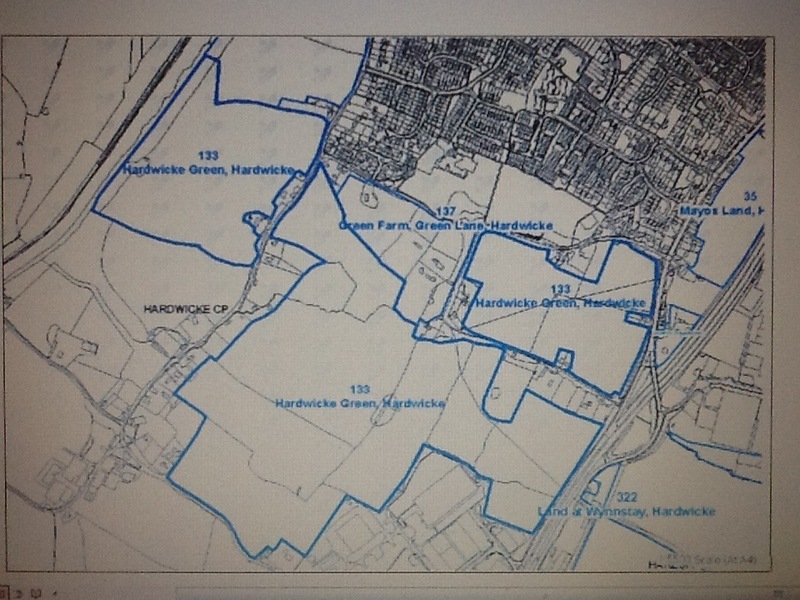 The Hardwicke Neighbourhood Development Plan Group are volunteers from the Hardwicke community coming together to develop a Hardwicke Neighbourhood Development Plan on behalf of the community to meet the requirements of the Localism Act 2011. The plan will be agreed by the Hardwicke Parish Council and subjected to independent planning scrutiny. It can only be fully implemented following a public referendum. The Gloucestershire Rural Community Council (GRCC) has opened a folder for all documents relating to the HNDP on its website at the end of the link www.grcc.org.uk/neighbourhood-development-plans/hardwicke-ndp. Their website also contains useful background information on the Localism Act 2011 and NDP processes (don’t fret - its in a readable format with useful summaries). The HNDP Group met for the first time on 22nd Jan 2014. Two members of the community came along to follow proceedings. The notes from the first meeting are on the GRCC website. The group agreed that their first priority is to get a community view of priorities for the issues raised at the September 2013 workshop. We propose to do this with a stand-alone questionnaire inserted in the April edition of Hardwicke Matters. The questionnaire will be replicated on the GRCC website with hard copies available from the Hardwicke Parish Council Clerk. Each member of the Hardwicke community is entitled to participate. Please take the time to forward your views on how you want Hardwicke to develop in the next 20 years. Don’t forget that the HNDP will be extant for some 20 years so you might want to include the views of your children. We are hoping to include a draw for all returned questionnaires with a cash prize for the lucky winner – details to follow. Hardwicke Parochial School are assisting by running a competition to design a logo for the NDP, an idea borrowed from the Hardwicke Parish Plan published in 2007. The chosen logo will feature on the front page of the HNDP. Future group meetings are planned for 19th Mar, 16th Apr, 21st May, 18th June, 16th July, 20th Aug, 17th Sept in the Hardwicke Village Hall lounge. Please don’t forget that the HNDPG represents the Hardwicke community; anyone is welcome to attend the meetings and join in the many sub-groups that will be required to take this project forward. If you have a point to raise; an idea that might help; a view on an aspect of the neighbourhood or its future; then please come along to talk to us, forward an email or even give one of us a call.